Which popular U.S. cruise ports near you offer Caribbean cruise sailings? Luckily for us, my family lives in McDonough, Georgia which puts us within driving distance of some of the top cruise ship homeports in Florida. In fact, most Caribbean cruises sail from Florida. For the Caribbean cruises which we have been on, we have sailed from four ports and have driven to all of them. My family has sailed twice with Carnival from Tampa, Florida; once with Carnival from Port Canaveral, Florida; once with Carnival from Miami Port; once with Norwegian Cruise Line from Miami, Florida; once with Princes Cruises from Ft. Lauderdale; and once with Royal Caribbean International from Port Canaveral, Florida. Of the four Caribbean ports from which we sailed, Tampa stands out as the best. The cruise port in Tampa, Florida was easy to get to, was not very complicated to navigate and parking was less than $20 per day. I will especially remember the parking fee, because parking at the other ports was $20 per day! Anyway, let us look at which U.S. departure ports are closest to you, so you can plan to drive or decide if you need to fly to get to your cruise ship. If you live in the northeast, you may consider sailing out of New York City (Manhattan). Departing from the New York Cruise Port (Manhattan Cruise Terminal) is basically the same as departing out of Florida. For those who must fly into New York City to board your cruise ship, there are some additional attractions to bear in mind. You may check out the Statue of Liberty, the Empire State Building, or Times Square. Caribbean Cruise lines leaving from the Port of Manhattan include Carnival Cruise Lines, Norwegian Cruise Lines and Princess Cruises with sailings to the Bahamas, Bermuda and the Eastern Caribbean. * Where there is more than one cruise ship terminal, following the directions above will get you to the general area and from there you can follow pointers to your ship's terminal. Families in the northeast have another port to choose from - Cape Liberty in New Jersey. The Cape Liberty pier is just across from the Statue of Liberty in lower Manhattan, on the New Jersey side. If this cruise port is your chosen departure point and you have to fly into the area, you can also add the sites and sounds of New York City to your vacation. Caribbean cruise lines leaving from cruise terminals at Cape Liberty include Royal Caribbean Cruise Lines, with sailings to Bermuda and the Bahamas plus the Eastern and Southern Caribbean. 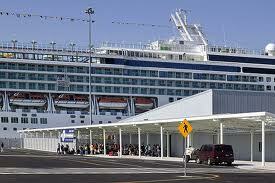 Celebrity also offers cruises from Cape Liberty to Bermuda and the Eastern Caribbean. Yes, there is another U.S. departure port on the east coast: Port of Baltimore, Maryland. This port allows great access to would-be cruisers from several nearby states - Virginia, Delaware, West Virginia and from the nation's capitol, Washington, D.C.
Royal Caribbean International and Carnival Cruise Lines are the top cruise lines offering cruises from Baltimore to Bermuda, the Bahamas, the Eastern, Western and Southern Caribbean. Good news for residents in and around the Norfolk, Virginia area: you can now sail to the Caribbean from a port in your town - Port of Norfolk. 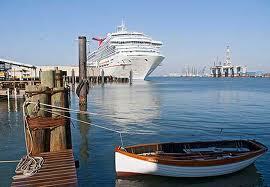 Carnival Cruise Lines offers sailings to the Bahamas from the cruise terminal in Norfolk, Virginia. Note that Caribbean cruise sailings from Norfolk are currently limited in number. Not to be out done, Charleston, South Carolina has its own cruise terminal. Residents in and around that area no longer need to fly to Florida or elsewhere to board a cruise ship. 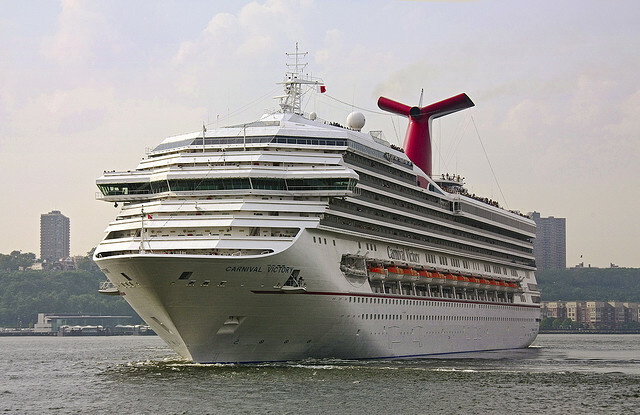 Caribbean cruise lines sailing from Charleston, South Carolina include Carnival cruises. 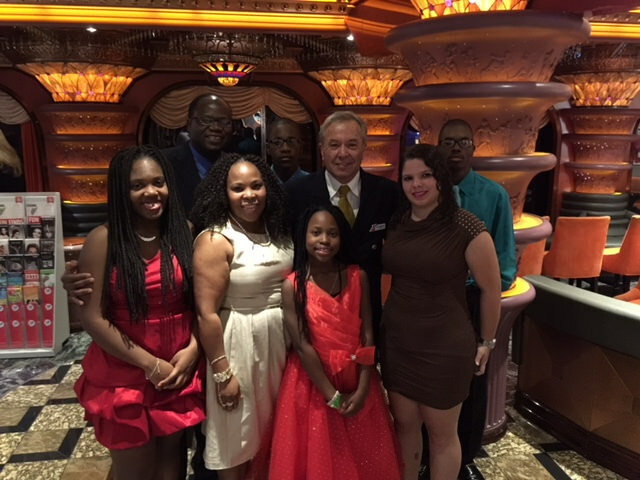 Carnival offers cruises to the Bahamas and Bermuda. The Port of Jacksonville is one of five U.S. cruise terminals in Florida, starting in the northeast. For residents from parts of Georgia, northeastern Florida and even southwestern South Carolina, there are a few year-round cruise sailings from which to choose. Carnival is currently the major Caribbean cruise line with inclusive cruises from Jacksonville, Florida. 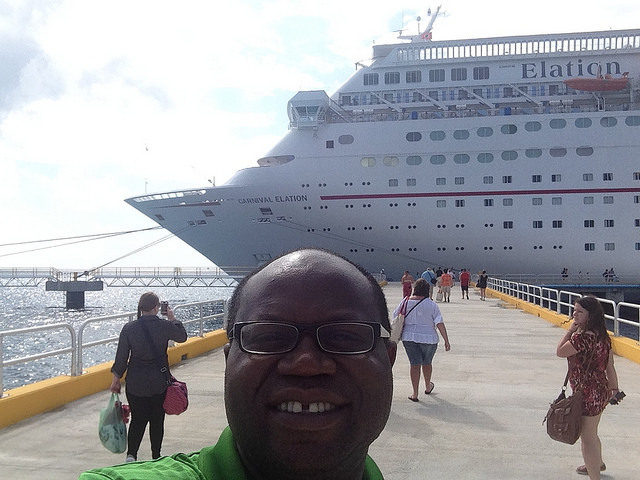 Carnival sails 4-day cruises and 5-day cruises out of Jacksonville to the Bahamas. 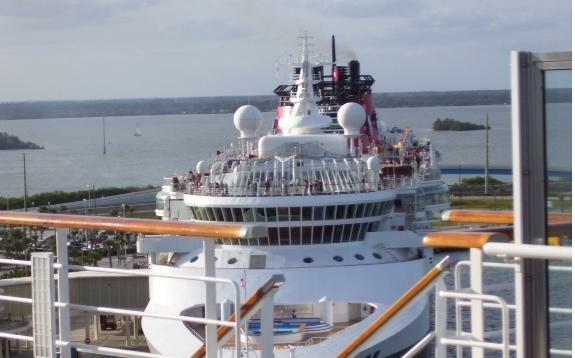 Port Canaveral, Florida is one of the most popular U.S. cruise terminals. 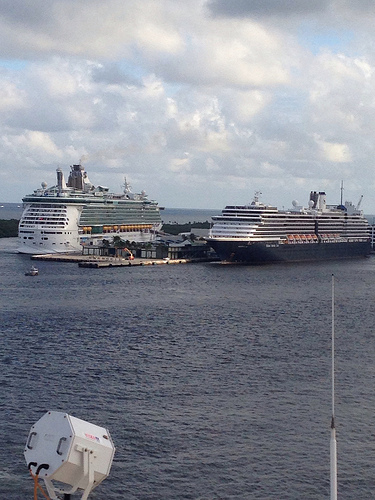 In fact, several cruise lines sail out of Port Canaveral to the Bahamas and the Caribbean. If you are searching for a Disney cruise, this is the place to look. For those who choose inclusive cruises leaving from Port Canaveral, Florida and fly to get there, there is the added vacation itinerary of Orlando. Cruisers have the Disney theme parks, Universal Studios, Sea World, The Holy Land Experience and many other attractions from which to choose. Caribbean cruise lines which sail out of Port Canaveral, Florida include Carnival Cruise Lines, Disney Cruises, Norwegian Cruise Line and Royal Caribbean Cruise Lines with sailings to the Bahamas, and the Eastern and Western Caribbean. Residents of and travelers to southeastern Florida will find a great cruise terminal in Fort Lauderdale - Port Everglades. Enjoy the beautiful beaches of the area before getting on your cruise ship to the Caribbean and even Panama. Caribbean cruise lines sailing out of Fort Lauderdale include Carnival Cruise Lines, Celebrity Cruises, Holland America, Princess Cruises and Royal Caribbean Cruise Lines, with sailings to the Bahamas, the Eastern and Western Caribbean and the Southern Caribbean (Dutch Antilles). Think "Miami Vice" and the beautiful South Beach area. The Port of Miami is the busiest cruise homeport in Florida. Miami is the city of fun and therefore cruisers will find much to do there before sailing to the Caribbean. Whether you like the beach or nightlife, you will have unforgettable moments in Miami. 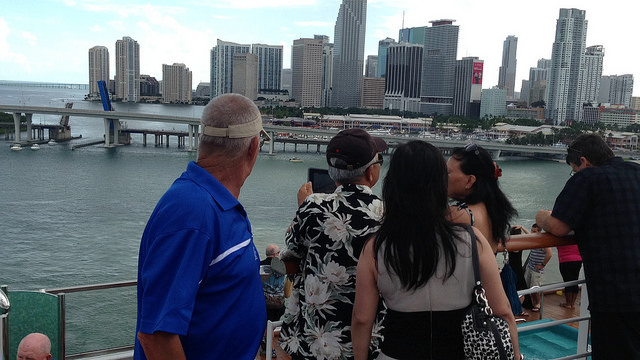 The Miami Port itself processes millions of cruise passengers each year. Caribbean cruise lines sailing out of the Port of Miami include Carnival Cruise Lines, Celebrity Cruises, Norwegian Cruise Line (See Norwegian cruises from Miami) and Royal Caribbean Cruises, with sailings to the Bahamas, the eastern, southern and western Caribbean, including stops in Mexico. The Port of Tampa - southwestern Florida - is not as busy as Miami, but for me is quite attractive. For cruise passengers flying into the Tampa area, you will have the added attractions of aquariums, wildlife at the beautiful Busch Gardens and a strong Cuban influence. Caribbean cruise lines sailing out of the cruise port in Tampa include Carnival Cruise Lines and Royal Caribbean International with sailings to the Bahamas and the Western Caribbean (including Mexico). The Port of New Orleans sits among the busiest port complexes - Louisiana's Lower Mississippi River. Without argument, for those who cruise out of New Orleans, there is the offering of two vacations: enjoy the famous hangout spots of New Orleans, as well as a fun-filled family cruise to the Caribbean. Carnival Cruise Lines, Norwegian Cruise Line and Royal Caribbean offer several inclusive cruises from New Orleans to the Bahamas plus the Eastern and Western Caribbean. The Port of Galveston is not as busy as other ports, but it gives the residents of Texas and the surrounding areas a great opportunity to cruise to the Caribbean right from home. The city of Galveston is also a great area to explore. Carnival Cruise Lines, Disney Cruises and Royal Caribbean Cruises offer inclusive cruises from Galveston to the Bahamas and the Western Caribbean. In addition to the cruise ports listed above, note that there are other ports with sailings to the Caribbean, Panama and South American ports of call. These ports include Houston, Texas; San Juan, Puerto Rico; Bridgetown, Barbados; and Colon, Panama. Whichever Caribbean island your family wishes to visit, there is a U.S. cruise port available to you.